Have you ever wondered what the world's largest investors rely on to make their decisions? Analysts David Fuller and Eoin Treacy count some of the world's largest sovereign wealth funds, pension funds, traders and investors as subscribers. Their approach to measuring the rhythm of the market has been the secret weapon of alpha generators for decades. Now for the first time a book is available that sets out the approach to market analysis they employ on a daily basis at FT-Money.com using macro, behavioural, fundamental and technical cues. At the heart of this approach is a groundbreaking application of the insights of crowd psychology to financial markets, underpinned by a factual use of technical analysis. We can fall in love with our investments. No other emotion describes why it is so difficult to sell. After all, breaking up is hard to do. Greed and Fear are useful frames of reference for commentators but Love explains much more of what's going on, and for the first time you can find out exactly how it powers (or undermines) markets - and how to make money in response. Above all, Fuller and Treacy's approach reveals something astonishing taking place in the markets right now. We are living in one of the most exciting periods of human history: a confluence of powerful themes is setting the stage for a major secular bull market in the decade 2015 to 2025. In the meantime, interest rates will need to normalise, which is likely to provide everyone with an unmissable buying opportunity. Crowd Money closes by revealing over 125 shares ideally placed to be the global bull market stars of tomorrow. 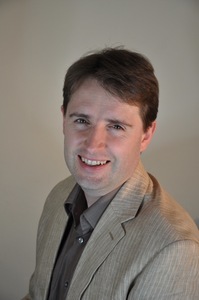 Eoin Treacy has spent a decade as a global strategist and partner at Fullermoney.com, where he has represented the service on sell-out speaking tours to the USA, Australia and Singapore. He is an expert in the firm"s unique macro behavioural approach to financial market interpretation and has appeared on Bloomberg TV, CNBC, CNN, CNBC India, NDTV Profit and the BBC World Service as a commentator on equities, bonds, commodities and currencies. As well as frequent appearances on Indian financial media, Eoin travels regularly to China to gain first-hand experience of the evolution of its market. He is a world-renowned speaker and has been invited to deliver talks to financially-minded associations in a host of countries, not least for the CFA Institute, the Market Technicians Association, Society of Technical Analysts in the UK and the Australian Technical Analysts Association. He is also a regular presenter at The World Money Show in London and at the Contrary Opinion Forum in Vermont. Following a degree in Philosophy from Trinity College, Dublin, Eoin went on to spend more than three years at Bloomberg, teaching seminars across Europe on the interpretation of price action. He joined David Fuller at Fullermoney in 2003 to specialise in the services approach to research - combining technical, fundamental and behavioural factors. He shares his views on markets in Fullermoney"s Comment of the Day on a daily basis and regularly records the service"s daily audio updates. As an active trader Eoin also details all of his personal trades and investments in theservice. Finally, Eoin developed the Fullermoney Chart Library, which is fully customisable and includes more than 17,000 instruments, ratios, spreads and multiples. In 2013 David Fuller and Eoin Treacy formed FT-Money.com to take their service to the next level and to enhance the product experience for their many subscribers. Eoin is married and has two daughters. In his spare time he is a keen scuba diver.